My knowledge of Van Gogh is sketchy to say the least. Like millions of people I’ve stood looking at his paintings in awe and wonder but my understanding of the man behind the work is limited to the facts that pretty much everyone knows (his spell in an asylum, his friendship and then conflict with Gauguin, his close relationship with his brother Theo). I never realised that he had been deeply religious as a younger man and had aspirations for a career in the church, nor that he had worked for an art dealer in London at one time. Still less did I appreciate how relentlessly he tried to find his true destiny, the fantastically high standards he set for himself and his work and his yearning for recognition. Fortunately Van Gogh was an inveterate letter writer. By the time of his death in 1890, he had written about one thousand letters, mainly to his brother Theo, through which the character of the man is revealed. More than 265 from more than 800 which have survived, are available in Ever Yours: The Essential Letters published by Yale University Press. Don’t imagine that I think myself perfect — or that I believe it isn’t my fault that many people find me a disagreeable character. I’m often terribly and cantankerously melancholic, irritable —yearning for sympathy as if with a kind of hunger and thirst – I become indifferent, sharp and even pour oil in the flames if I don’t get sympathy. But neither you nor anyone else who takes the trouble to think about it will, I hope, condemn me or find me unbearable because of that. I fight against it, but that doesn’t alter my temperament. And even if I consequently have a bad side, well damn it, I have my good side as well, and can’t they take that into consideration too? The letters show his troubled, intense nature, his relentless quest to find his destiny and his frustration with the lack of recognition of his talent. Evident too is his close bond with his brother with whom he exchanged letters discussing attitudes to art and to whom he revealed his hopes, and then despair, as his friendship with Gaugin collapsed. Ever Yours: The Essential Letters contains 265 letters, from a total of 820 that still survive. 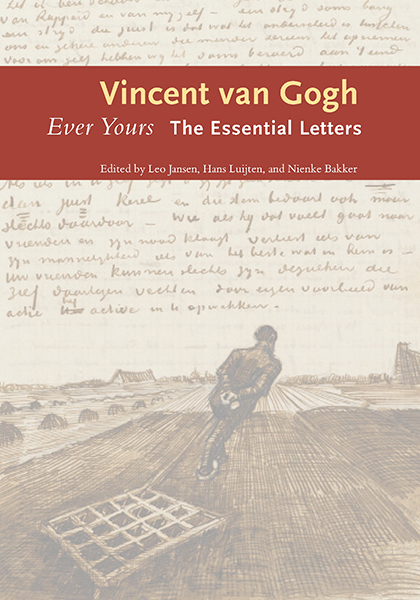 The editors Leo Jansen, Hans Luijten and Nienke Bakker apparently spent 15 years creating a six volume set of the correspondence which was published by the Van Gogh Museum in Amsterdam in 1999. This (shorter) edition contains historic family photographs, reproductions of some of the letters in chronological order plus sketches by the artist and a general introduction highlighting the main events of his life. If you want a fascinating glimpse of the man and the artist, this book will deliver. And if it makes you hungry for me, there is a free online transcription of all Van Gogh’s letters at vangoghletters.org. 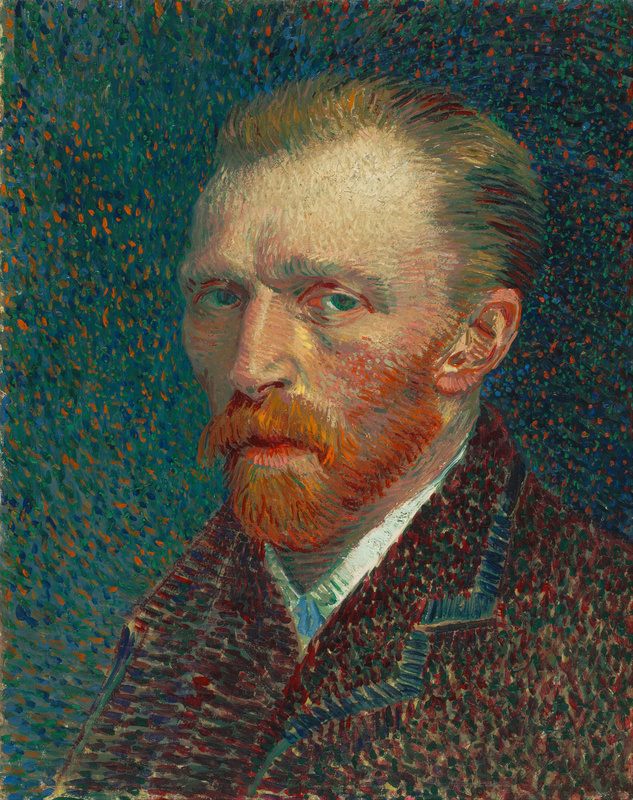 Posted on August 6, 2015, in Non fiction and tagged Vincent van Gogh. Bookmark the permalink. 6 Comments. I’ve been meaning to read his journal for ages. Looks like I will have to add these letters to the list now too! I loved this collection of letters – I had only ever read fragments of his letters before. Not the easiest of people, certainly, but I loved the way he ‘thinks out loud’ in his letters to his brother, how he wrestles with himself and others to create the life and art he believed in. I saw some of Van Gogh’s letters to Theo during a Royal Academy exhibition 5 or so years ago. Quite a sobering experience as the exhibits were beautiful, illuminating and painful all at once. It’s good to hear about the book – it sounds like quite a collection.